I own a lot of red lipsticks! As part of my wedding makeup prep I've been looking through my collection of red lipsticks to work out which suit me best, and which are kiss proof (Sam would refuse to kiss me at the alter if I was wearing transferring lippie!). 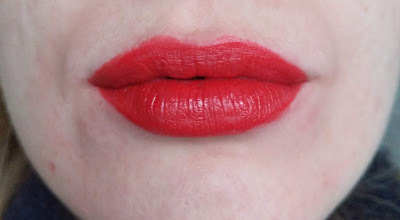 I've cataloged all my red lippies in this post with swatches reviews so be prepared for a long post. These swatches are makeup free so be prepared for not so great skin. I follow lots of bloggers who have perfect foundation for all their swatches but I'm far too lazy for that. 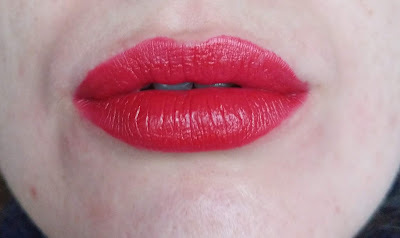 Each time I thoroughly removed the last lippie it took off all the makeup around my mouth. I'm not wasting my expensive foundation for one photo! Sorry guys. These photos are "warts and all" to show you how they apply without lip liner, how thick they are and if they are drying. No photoshop here. This coral-red liquid lippie is very bright. 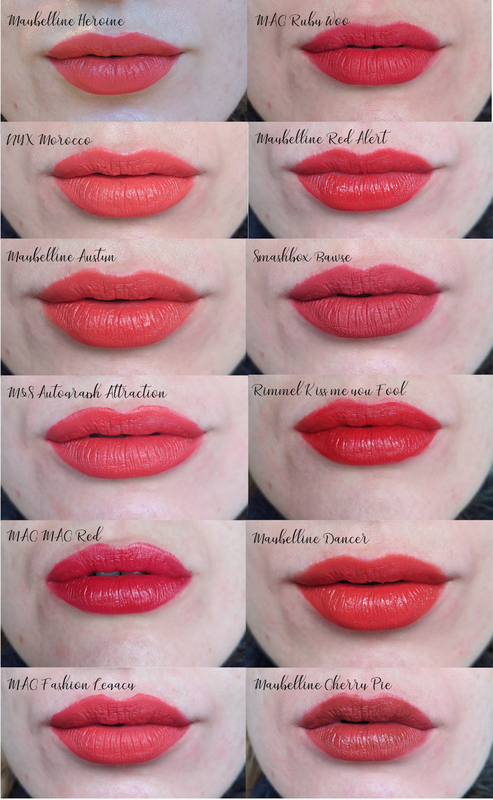 Its full name is Maybelline 24 hour Matte Ink in Heroine and it is long-lasting. I could go a whole night out and this is still on. 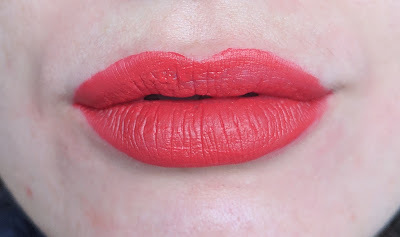 It's also totally kiss-proof, there is no transfer onto Sam when I wear this lipstick. This soft creme lippie is another bright coral. It doesn't give great coverage so needs a few swipes. It's also not transfer-proof and comes off. 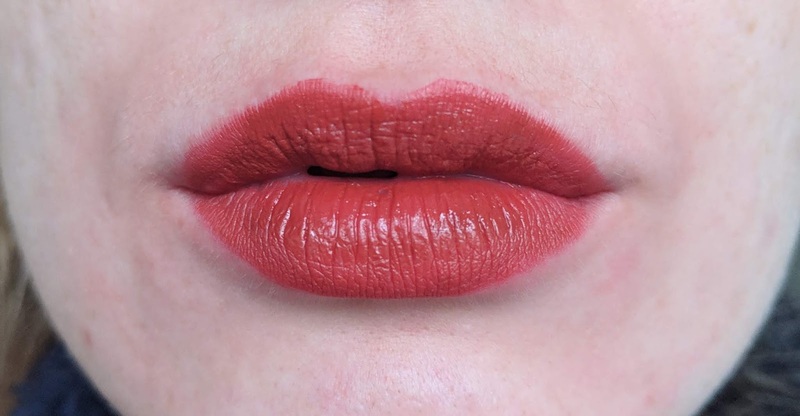 It's not one of the liquid lippies that seems to dry. 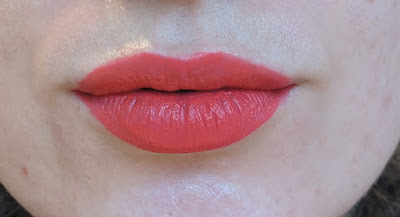 This lovely lipstickwas one of my go-tos this summer. 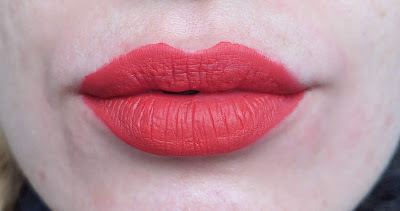 It's a flattering coral with enough pink in to balance out the orange tones to make it a suits-everyone shade. It's very bright. It's a normal lipstick so isn't kiss proof. 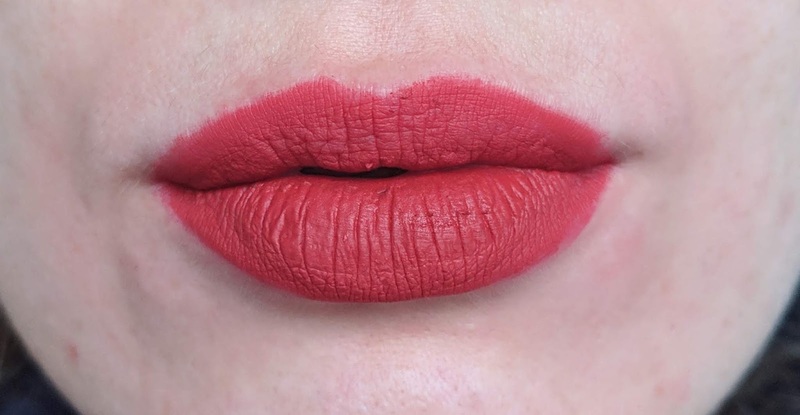 This liquid lipstick is a lovely pinky red. It again needs a few swipes or some lip liner to make it an even colour but it's very moisturising and comfortable to wear. It transfers off and I often find it on my chin! 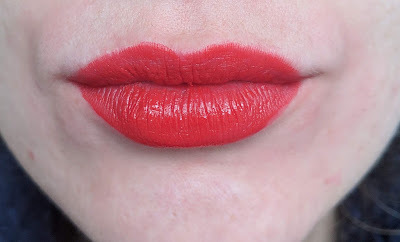 MAC Red is a classic red lipstick. 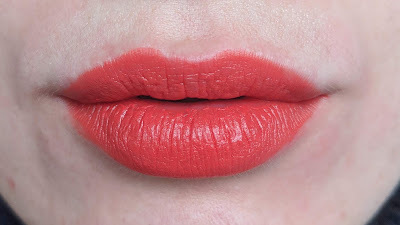 It's a creamy formula so doesn't give the matte look but does wear really nicely, and isn't drying. Again it's a normal lipstick so does come off. We're getting into blue toned reds here. 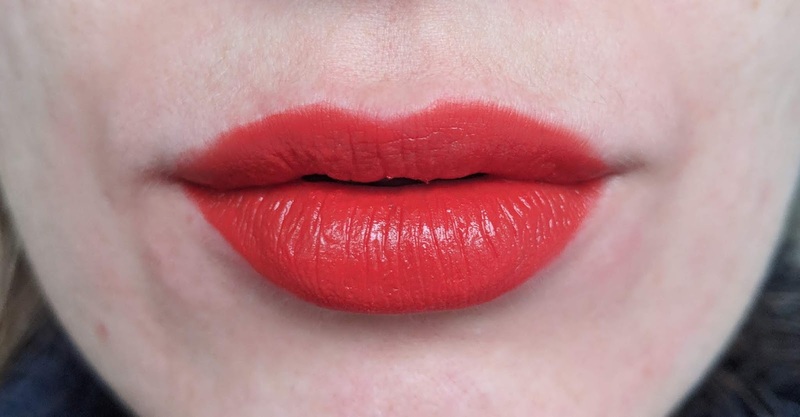 Ruby Woo is the famous colour that Taylor Swift apparently wears. Very flattering, I've yet to meet someone who doesn't suit this lovely colour. It's a traditional lipstick so comes off everywhere when you kiss! Writing this post has helped me work out how I feel about this lippie - it's been my favourite over the winter and I love the shade of red, how it doesn't transfer and it lasts forever, but I've never felt it's quite suited me. I think the undertones are great for cooler skintones, but if you're pinky like me it's not quite right. What is your favourite red lipstick? Any recommendations for ones that don't come off?